Send thousands of SMS anywhere in A click. Welcome to the smscluster.com we allow you to send text messages to any phone using any computer in the world through our International Bulk SMS service.Send SMS messages anywhere in the world even if you do not have a mobile phone through our website portal. No monthly fees, No hidden costs, No Monthly commitment on any purchase. Single click delivery to thousands of numbers. 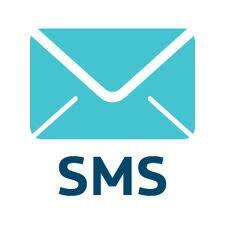 Schedule SMS :You can schedule the system to send messages on a particular date and time to individuals or groups. Unlimited Groups : Create Unlimited Groups like friends in one group, staff on other group client in other group, etc. Flexible :- configure your account to meet your text messaging needs. No mobile phone required. Global :- you can send International SMS to any country on the Planet. Convenient :- time zones don’t matter. Set your messages to arrive with a delay to surprise your friends! Easy to use :- send from a web browser or from excel plug-in . Great Service :- messages are delivered just in seconds.